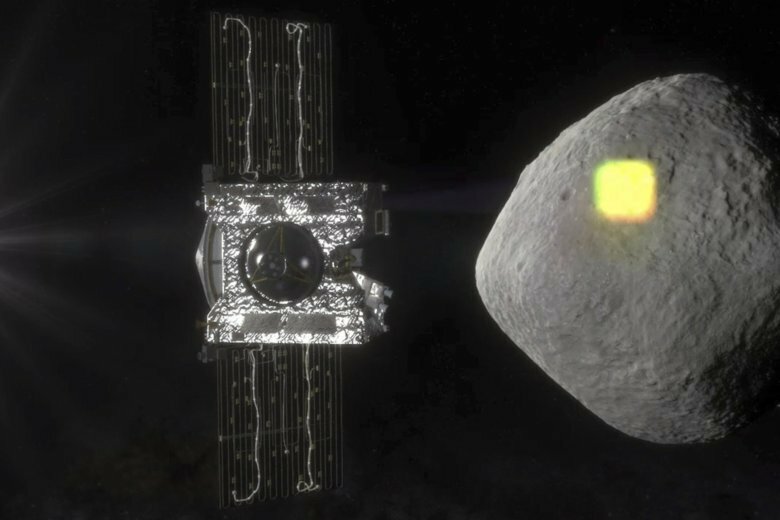 NEW YORK (AP) — NASA’s plan to scoop up dirt and gravel from an asteroid has hit a snag, but scientists say they can overcome it. The asteroid Bennu was thought to have wide, open areas suitable for the task. But a recently arrived spacecraft revealed the asteroid is covered with boulders and there don’t seem to be any big, flat spots that could be used to grab samples. “But I am confident this team is up to that substantial challenge,” the project’s lead scientist, Dante Lauretta, told reporters at a news conference Tuesday. The spacecraft, called Osiris-Rex, is scheduled to descend close to the surface in the summer of 2020. It will extend a robot arm to pick up the sample, which will be returned to Earth in 2023. The spacecraft began orbiting Bennu at the end of last year, after spending two years chasing down the space rock. When the mission was planned, scientists were aiming to take dirt and gravel from an area measuring at least 55 yards (50 meters) in diameter that was free of boulders or steep slopes, which would pose a hazard. “It is a more rugged surface than we predicted,” said Lauretta, of the University of Arizona in Tucson and one of the paper’s authors. But he said he believed a sample could still be collected. NASA project manager Rich Burns said a spot will be chosen this summer and the setback won’t delay the sampling. Patrick Taylor, who studies asteroids at the Lunar and Planetary Institute in Houston but didn’t participate in the spacecraft mission, noted in a telephone interview that the spacecraft was evidently maneuvering more accurately and precisely than had been expected. “That gives me confidence they will be able to attempt a sample acquisition,” he said. Bennu is 70 million miles (110 million kilometers) from Earth. It’s estimated to be just over 1,600 feet (500 meters) across and is the smallest celestial body ever orbited by a spacecraft. A Japanese spacecraft, Hayabusa2, touched down on another asteroid in February, also on a mission to collect material. Japan managed to return some tiny particles in 2010 from its first asteroid mission.